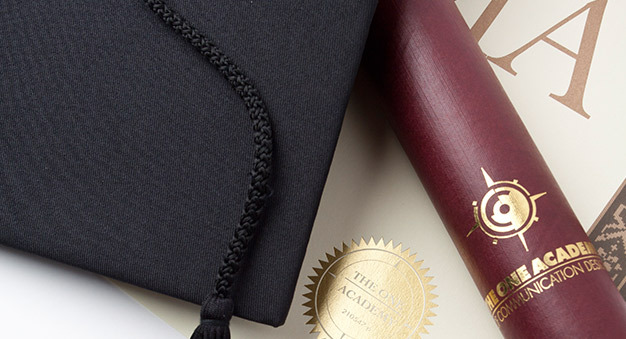 We are an internationally recognized leading art and design institution. We are living in a sophisticated, global environment today in which competition to be the best is tougher than ever before. The One Academy reckons the growing competitiveness of the creative industry as well as the importance to acknowledge talented aspirants for the significant contributions you have made. We also help in making sure that the most outstanding individuals (both alumni and fellow graduates) are celebrated in full honor for their excellent display of hard work and creativity. TOA Excellent Achiever Award (A Dean's List), is a category of students in a college or university who achieve high grades during their stay in an academic term or academic year. 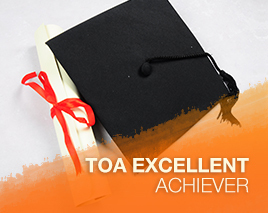 The main objective of the prestigious TOA Excellent Achiever Award is to acknowledge and award students who constantly show outstanding intellectual achievement, leadership and creativity in all fields. 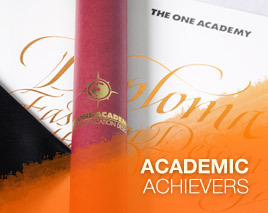 Students with extraordinary talents and excellent academic performance are identified and further honored by The One Academy in its annual awards and recognition programme.